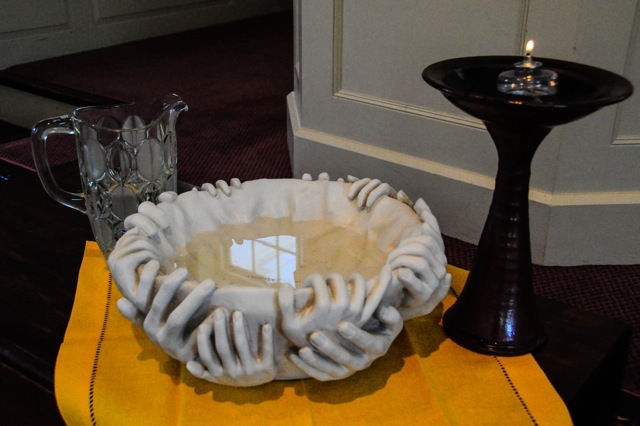 Don’t forget to bring your collected water for our intergenerational water communion on September 7th. This Sunday we begin again with our annual ritual of blending the waters from your travels, from your own backyard sprinkler, or wherever you spent meaningful time on the water this summer. Rev. Dr. Marjorie Matty will lead worship in our historic meeting house and you will have an opportunity to meet the new staff members that have been selected to share their expertise and gifts with First Parish: Laurel Whitehouse our new Director of Religious Education and Leslie Silva our Congregational Administrator and Bookkeeper. We look forward to welcoming you back to the Meeting House this Sunday for worship and fellowship. Today is our multigenerational ingathering service. Folks of all ages are invited to join us for this special worship service to begin a wonderful new year together. Babies and young children are welcome to stay with their parents in the Sanctuary or join Michelle and teenage childcare givers in the Parish Hall so they can play while you enjoy the service. Families, please stop by the Children’s RE table during coffee hour today to register your children for religious education classes this year!